Thank you for visiting Boiler Services Trim a subsidiary of the Boiler Services Meath group. Our staff take pride in the knowledge that we provide the people of Meath with the highest standards of boiler servicing, repair and installation. Our specialist boiler services technicians have been successfully operating throughout the county for over 30 years now with some senior members having upwards of 35 years in the plumbing and heating industry. During this time we have seen more types of domestic, commercial and industrial boilers than you can imagine. This knowledge though has helped us grow our business and enhance our reputation. All of our staff started out as fully qualified plumbers and have gained their RGI accreditation. They are all vastly experienced and decided to hone their knowledge in relation to boilers. This may not seem such a broad subject but you will be surprised how many plumbers will not undertake work on some of the older models of boiler, especially commercial or industrial types as they just don’t have the knowledge or experience to work on something 25 years old. We however do! We always use the example is you had a BMW that needed work on it and you had a choice either a normal mechanic or for the same price or less a specialist BMW mechanic which would you choose. Well it’s exactly the same with us and boilers. 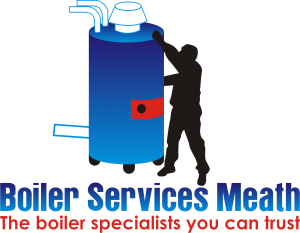 We don’t like any of our clients to be cold during the winter, this is why we boiler services Trim operate 24/7-365. If you have a boiler breakdown just call 046-9011255 and one of our expertly trained staff will be happy to help. We will advise you on the phone first but if you need us to come out we can usually be there in less than an hour day or night. We don’t charge for the call out or travel time, our charges start once we commence diagnosis and boiler repair work (please check our terms and conditions here). All of our work at Boiler Services Trim comes with a 1 year parts and labor guarantee. We realize if we install a new part when conducting boiler repair work occasionally it may be defective. We understand it’s not your fault or ours but as a professional company with excellent customer service if it’s under our warranty we will come out and change it free of charge. Our company also is fully covered by both public and professional indemnity insurance, so our clients can be rest assured they are working with a professional company. For a free quote without obligations on boiler servicing, repair or installation call the local team that you can trust today on 046-9011255.